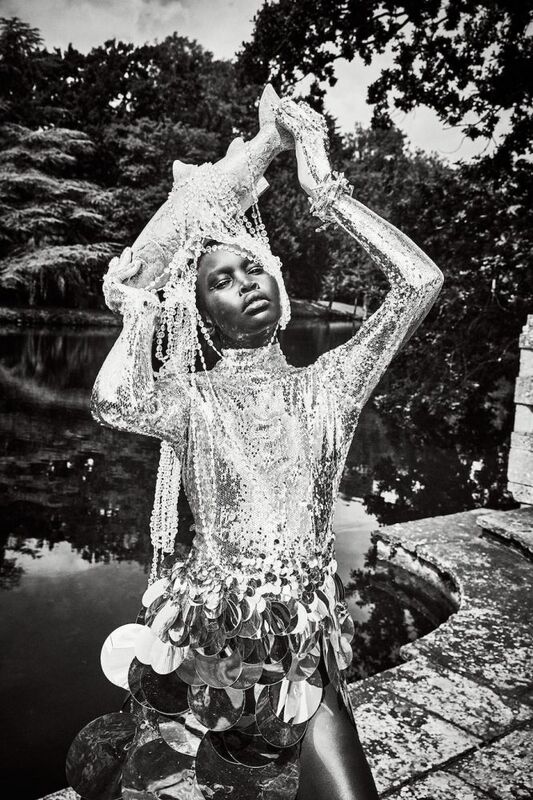 Paper Magazine is right to commemorate Alek Wek. The Sudanese model is a multi-hyphenate phenomenon, being not only a trailblazer for models of color that break the mold but also an extraordinary woman whose chameleon-like abilities allow her to continue booking widely varying jobs more than two decades since her debut – easily a record number of working years. The glowing supermodel (it is the beautiful people issue after all) goes back to her New York roots with the issue’s cover story lensed by Ellen von Unwerth who shot her for the first time after she arrived in the city. The following editorial includes Alek melding into wildly dissimilar, yet equaling stunning, characters including a pink lemonade cowboy with only lingerie underneath Chanel-tweed chaps and an alluring xenon gardener in neon-green mesh. Essentially, doing what she does best.